A masterpiece for the cinema fanatics. 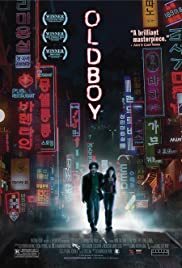 The first time I watched "Old-boy", I was half-amazed, half-disgusted. I wasn't quite sure how to rate the movie in general. I knew 2 things: 1. From a visual point of view, it's one of the best movies I have ever seen. Cinematography & scenography are nothing short of perfection. 2. I had problems with the plot, some holes in it, and a general feeling of injustice, as crime seemed to be pretty lightweight compared with the punishment. 2nd time was a weird situation. A girl I knew tried to get into the film school, and the day before her exam she asked me to supply her with some movies that were interesting visually. 2 films we watched were "Natural Born Killers" and "Old-boy", and, especially the 2nd 1 was a revelation. Knowing the plot, it was easy for me to concentrate on the visual side, and my friend always consumes the movies this way. Results of paying attention to the tiniest of details were stunning. I don't think there's 1 scene in there shot without an idea, without something happening in the background, or without an image responding to the theme of the scene. Don't be a baby crying about violence - camera turns away in key moments. Don't be a smartarse, picking on the shortcomings of the plot - think about Hitchcock or Chaplin and how they gave a flying f... about plot. Appreciate the work of the whole crew, and for best effects watch it a couple of times. It's worth it. 43 of 68 people found this review helpful. Was this review helpful to you?